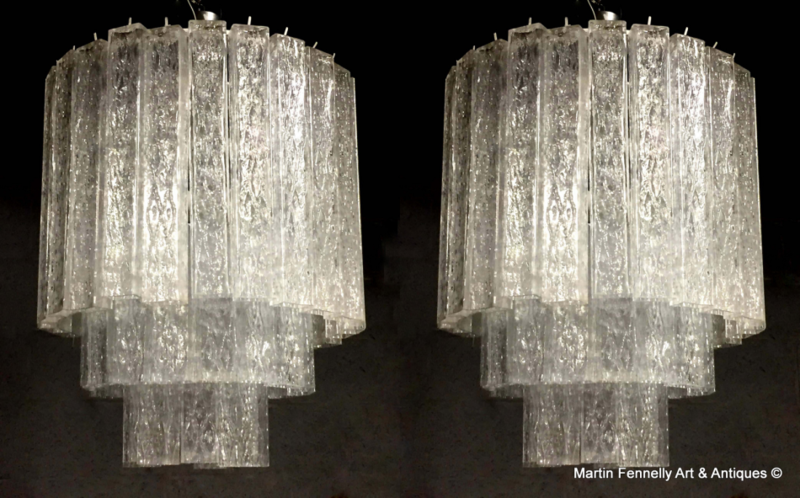 This Pair of Italian original 1960's Chandeliers are superb and a super example of the Elegant designs of this period. 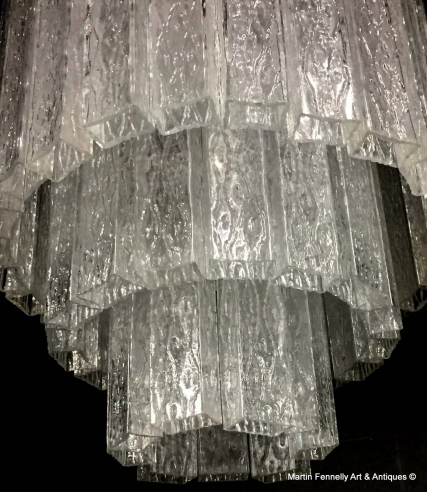 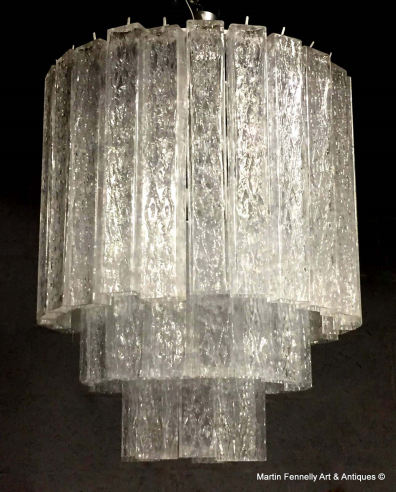 The Modular structure with bands of Crystal rectangular tubes make for a coherent and architectural structure which pours our a warm light that would add that superb Italian mid century design to any room. 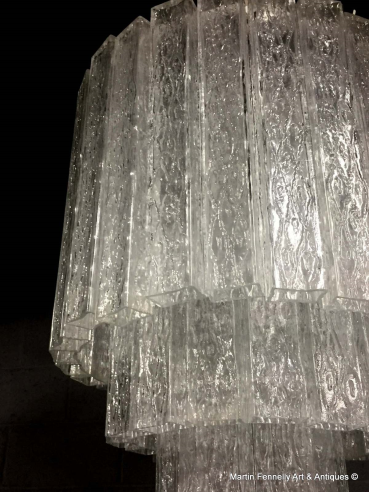 The design also capsulates the excellent manufacturing techniques of the famed Murano designers with terrific precision. 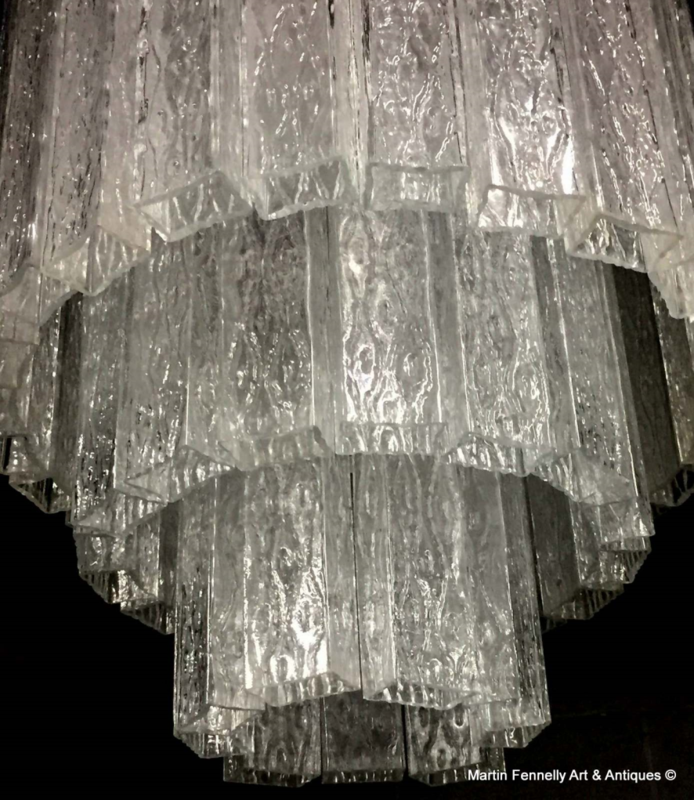 They are large and would require high ceiling space.